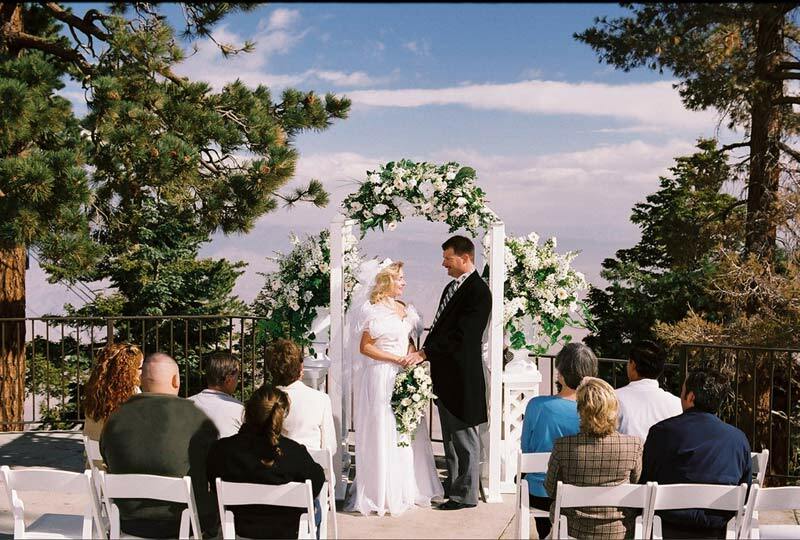 If you’re looking for a breathtaking location for your special day, look no further than the Palm Springs Aerial Tramway. 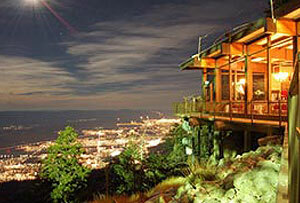 Located 8,516 feet above the Coachella Valley floor, the Tramway’s Mountain Station offers panoramic views from the Banning Pass to the Salton Sea. Begin your journey into matrimony with a 10-minute ride aboard the world’s largest rotating tramway and the only rotating tramway in the Western Hemisphere. 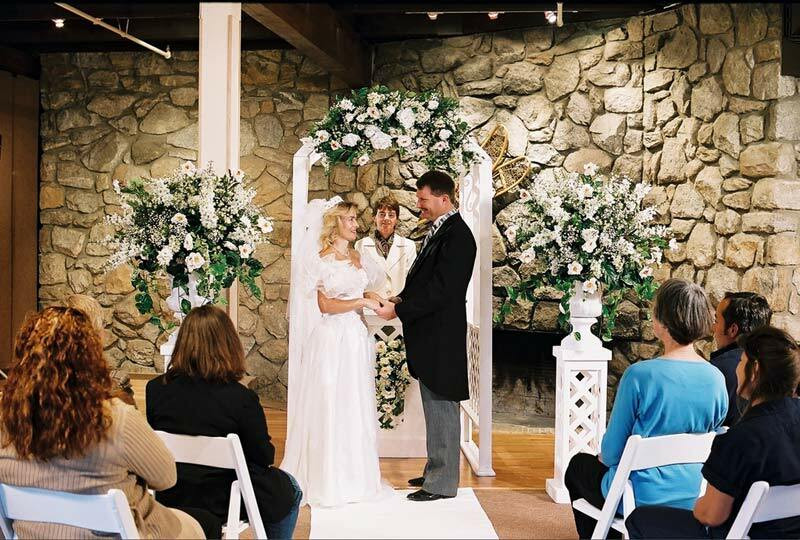 One option for your ceremony is the Restaurant Patio with the entire Coachella Valley as your backdrop. 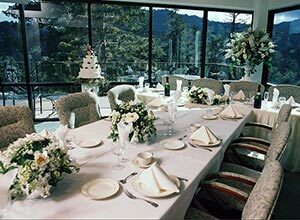 You won’t have far to travel for your reception–the Francis Crocker Room can seat up to 136 guess and offers a rugged Alpine lodge-feel with a stone fireplace and giant pine trees just outside. For smaller ceremonies and receptions, the Culver Nichols Room and the Culver Nichols Balcony offer a backdrop of giant pine trees and majestic mountains. Interested in receiving information about your group event? Please fill out our contact form. Lunch and dinner will be catered by Elevated Experiences, Inc..